Ralph Wednesday is the courier who is initially responsible for delivering Alvis Hamilton to the Silvana. After receiving his mission, Ralph is relentlessly pursued by the Guild and is mortally wounded. On the day of the 75th Norkia Cup race, his vanship crosses path with that of Claus and Lavie's. He asks the two to complete the mission in his stead and acts as a decoy to cover for their escape from the Guild. 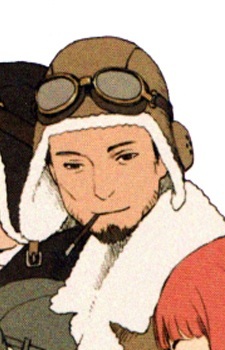 Ralph has an elder brother named Mikhail, who is also a vanship pilot.